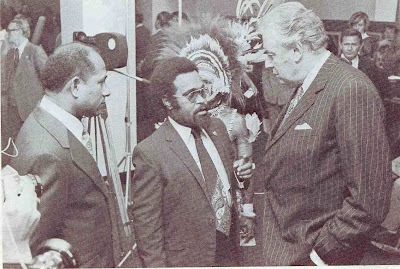 Chief Minister Michael Somare’s first target date for Papua New Guinea independence had been December 1974. But half way through 1975 and still no decision had been made. 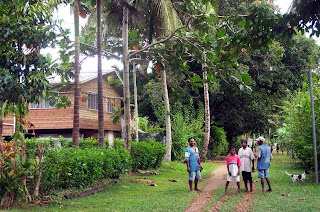 At one stage Somare had hoped to fix independence for April 19, 1975, to coincide with the anniversary of the formation of the first elected coalition government in 1972, but for some reason many members argued that no date could be set until the organic law and related legislation had been passed. 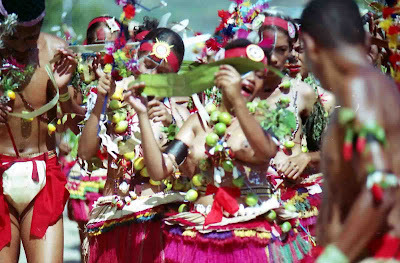 Nevertheless, the government still managed to commemorate the anniversary, for April 19 became Kina Day, the day when Papua New Guinea’s own currency was first introduced to the people. Writing in his autobiography Sana: “Frustration at the delay in settling the independence date grew, and many people were beginning to say that independence wouldn’t happen in 1975! “Even the press began to play with it that way. 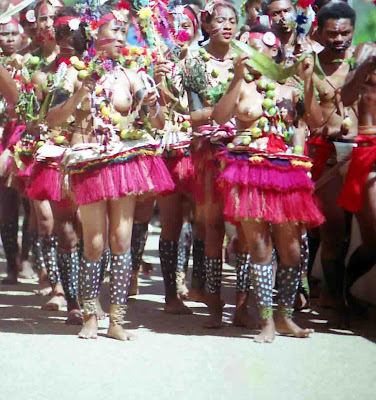 April and May 1975 were difficult months for Somare with demonstrations by university students against his decision to have the queen as titular head of state, as well as the National Pressure Group accusing him of trying to push the constitution through with undue haste. On top of this, Somare had the Bouganville issue on his hands. “Leo Hannett, whom I once appointed as my personal advisor on Bouganville affairs had started abusing me publicly on the radio and in the press for not listening to the wishes of the Bouganvilleans and their provincial government,” he wrote in Sana. “He forgot that I had been personally responsible for introducing the legislation that brought Bouganville’s provincial government into being. 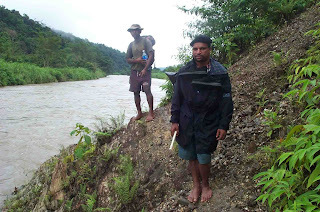 “Father John Momis, the regional member for Bouganville and deputy chairman of the Constitutional Planning Committee, had always preached national unity, but now he began to join with Hannett. 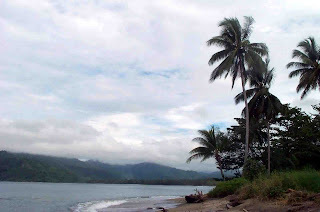 “John Kaputin, the member for Rabaul, had also started attacking the government. “The people encouraging secession were the very people who, in the past, had claimed to be champions of nationalism. “With all the problems I was facing, I found it difficult to obtain support in the House. “It was time to work out my tactical moves. 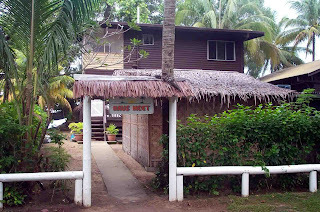 On May 25, 1975, Somare organised a barbeque picnic at 17-Mile outside Port Moresby to gauge feelings of Members of the House of Assembly (MHAs) about independence. 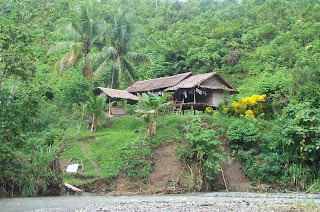 Somare found that the majority of MHAs agreed to rescind the resolution that he moved on July 9, 1974 “that this house resolves that Papua New Guinea do move to independent nation status as soon as practicable after a constitution has been enacted by this house and that any proposed date for independence is to be endorsed by this House”. 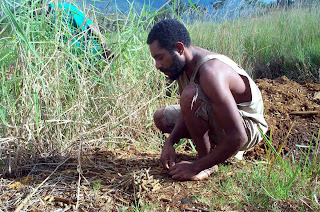 On Wednesday, June 18, 1975, Somare decided at his breakfast table to test his strength – to determine whether he still had the kind of support he had had in the past. He recalls that if he were to move the date he would be given a good indication of support. So he told his cabinet that he was going to prepare the date that day. The threat of Bouganville secession gave him the ideal opportunity to make a quick move. 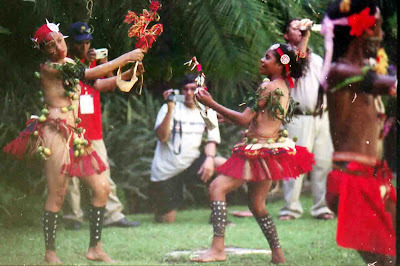 The clock was ticking away towards that momentous occasion in Papua New Guinea history. The House resumed at 2pm on that day, Wednesday, June 18, 1975. It dealt with government business until 3.30pm. At that time, the Speaker called on him and Somare asked leave to make an important statement. Leave was not granted so he immediately moved to suspend standing orders. He received the support of 52 members. Opposition leader Tei Abal tried to amend the motion but was unsuccessful, losing 52-13 when a division was called. 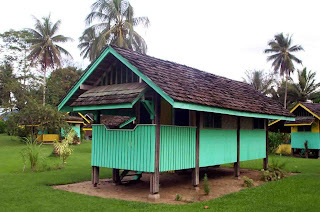 Somare moved that “the House do rescind the motion of 9 July 1974”. He then introduced that most-important and historic motion setting the date for independence. Somare told the House of Assembly: “Mr Speaker, the time has come to make a firm decision on the date for independence. “Our people everywhere are waiting for us to make up our minds, to take the initiative, to show we are not weak and indecisive. “We are the nation’s leaders. “The time has come to lead. “We have put this off for too long. “I have said this many times and I say it again: ‘Independence will bring strength and stability and unity’. “Some could not believe me and said ‘giaman’. “Now we all see the truth because of these events. “When things happen that threaten our stability, when emergencies affect the well-being of our people, we must act and act quickly. “That strength and authority will come when we are a truly independent nation. “There are many things to be done and preparations made. “Many nations or their representatives will be coming to join us at Independence Day celebrations. “These important visitors must make their plans and preparations months in advance. “It is very important we let them know as soon as possible. Somare’s motion calling for independence on September 16, 1975, was debated and adopted by the House on the voices. It took exactly 45 minutes! John Kaputin and Josephine Abaijah, who had screamed about independence, walked out of the chamber before it was put to the vote. Father Momis was not there to vote. Somare reflects: “It took me months to get the self-government date of December 1, 1973, passed by the House of Assembly but only 45 minutes to set the date for Papua New Guinea’s independence. “It was one of the happiest days of my life. 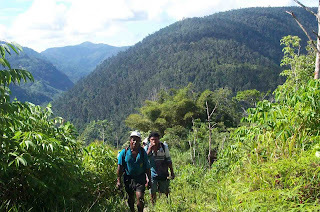 “With some of my colleagues, I had labored for three years to effect the constitutional changes necessary to bring Papua New Guinea to nationhood. “When I decided to go into politics in early 1967, the one purpose I had in mind was to be instrumental in bringing the country to self-government and eventual independence. 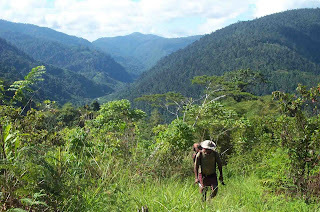 “An Australian minister for external territories, CE Barnes, said in 1968 that it would be 50 years before Papua New Guinea became independent. “At a Pangu Pati convention rally in 1971, I said it was my aim to bring Papua New Guinea to independence during my term in parliament. “They read National Geographic magazine and International Travel News and they subscribe to websites like http://www.responsibletravel.com . 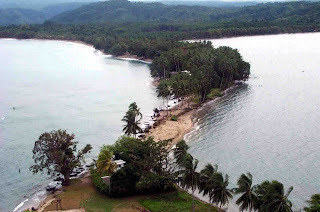 “The main impediment to the growth of ecotourism is the lack of targeted marketing. As of Thursday last week, Google started making Knol available to everyone, starting with those who have a Google Gmail or Blogspot account such as me. 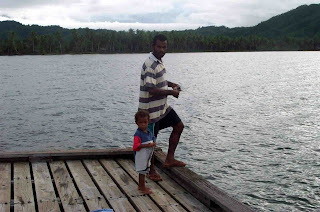 I was quite intrigued by the concept of Knol, when introduced to it by Google, that I went right into it, and once I got the hang of it, created a Knol on Papua New Guinea which I will slowly develop over time. I may, in fact, have been the first Papua New Guinea to try out this concept which analysts all over the world predict will soon surpass Wikipedia as the No. 1 online encyclopedia. 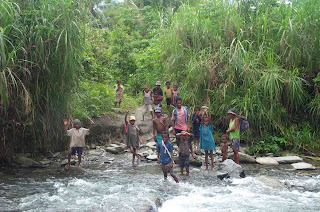 Given all that PNG has to offer, it is a good opportunity for our writers, academics, medical doctors, professional people and simple villagers to improve their reputations as well as fatten their wallets as Google offers to chance to make money through its internationally-renowned AdSense programme. For starters, most of the featured Knol articles are on various diseases, although I especially enjoyed the ones on backpacking and Search Engine Optimisation (SEO), given my passions for adventure and information technology. So what is a Knol? A few months ago, Google announced it was testing a new product called Knol. 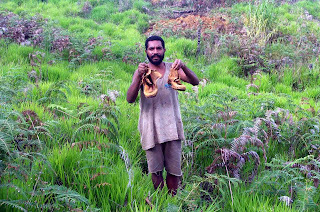 For instance, Malum Nalu, being a Lae boy who loves his home town, has already created a Knol on it. The web contains vast amounts of information, but not everything worth knowing is on the web. An enormous amount of information resides in people's heads: millions of people know useful things and billions more could benefit from that knowledge. Knol will encourage these people to contribute their knowledge online and make it accessible to everyone. The key principle behind Knol is authorship. Every Knol will have an author, or group of authors, who put their name behind their content. It's their Knol, their voice, their opinion. “We expect that there will be multiple Knols on the same subject, and we think that is good,” Google announced on its official Blog. “With Knol, we are introducing a new method for authors to work together that we call ‘moderated collaboration’. “With this feature, any reader can make suggested edits to a Knol which the author may then choose to accept, reject, or modify before these contributions become visible to the public. “This allows authors to accept suggestions from everyone in the world while remaining in control of their content. “After all, their name is associated with it! “Knols include strong community tools which allow for many modes of interaction between readers and authors. “People can submit comments, rate, or write a review of a Knol. “At the discretion of the author, a Knol may include ads from our AdSense programme. A Knol is basically an Internet encyclopedia designed to give people a chance to show off - and profit from - their expertise on any topic. The service, dubbed ‘Knol’ in reference to a unit of knowledge, had been limited to an invitation-only audience of contributors and readers for the past seven months. Now anyone with a Google login like me will be able to submit an article and, if we choose, have ads displayed through the Internet search leader's marketing system. The contributing author and Google will share any revenue generated from the ads, which are supposed to be related to the topic covered in the knol. The advertising option could encourage people to write more entries about commercial subjects than the more academic topics covered in traditional encyclopedias. Since Google disclosed its intention to build Knol, it has been widely viewed as the company's answer to Wikipedia, which has emerged as one of the web's leading reference tools by drawing upon the collective wisdom of unpaid, anonymous contributors. But Google views Knol more as a supplement to Wikipedia than a competitor, writes Cedric Dupont, a Google product manager. Google reasons that Wikipedia's contributors will be able to use some of the expertise shared on Knol to improve Wikipedia's existing entries. With a seven-year head start on knol, Wikipedia already has nearly 2.5 million English-language articles and millions more in dozens of other languages. Knol is starting out with several hundred entries. The initial topics covered include an overview of constipation by a University of San Francisco associate professor of gastroenterology and backpacking advice from one of Google's own software engineers. Unlike Wikipedia, Knol requires the authors to identify themselves to help the audience assess the source's credibility. Google doesn't intend to screen the submissions for accuracy, Dupont says, and instead will rely on its search formulas to highlight the articles that readers believe are credible. "At the discretion of the author, a Knol may include ads," according to the official Google Blog. "If an author chooses to include ads, Google will provide the author with substantial revenue share from the proceeds of those ads." The key idea behind the Knol project is to highlight authors (either singularly or in groups) willing to put their names behind their content on a wide of range of topics, "from scientific concepts, to medical information, from geographical and historical, to entertainment, from product information, to how-to-fix-it instructions”. Google will not edit the content in any way, but, like Wikipedia, readers will have access to community tools that will allow them to submit comments, questions, edits, and additional content - in addition to being able to rate or write a review of a Knol. Founded in January 2001, the online Wikipedia encyclopedia has more than 8.2 million articles in more than 200 languages, including more than 2 million in English. Unlike Google Knol, Wikipedia is not ad-supported and its operating expenses are funded mainly by private donations and grants funneled through the non-profit Wikimedia Foundation, whose laudatory mission is to support the free dissemination of information. Just how free the information on Wikipedia is has been called into question lately, primarily because of the collaborative nature of its entries. WikiScanner (also known as Wikipedia Scanner), a tool released by Virgil Griffith in August 2007 that identifies the authors behind Wikipedia edits, revealed that people at the IP addresses of several major companies had made changes to their own or competitors' Wikipedia entries. It's too early to tell what effect Knol will have on Wikipedia and similar sites, but at the very least adding author identification, ranking, and the profit motive to Wikipedia's group contribution approach certainly seems to have the potential to upset the Wikipedia apple cart. 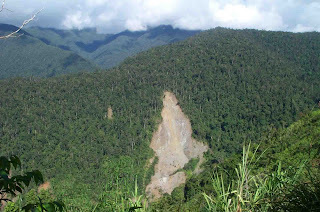 The discovery of gold at Edie Creek above Wau in 1926 sparked off a gold rush of massive proportions, which led to the development of Salamaua as the capital of the then Morobe District. Thousands of Europeans flocked to the jungles of Salamaua and Wau in search of gold in the ‘20s and ‘30s. 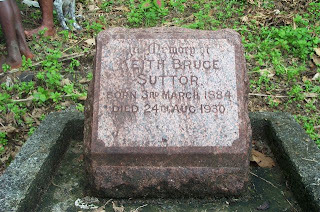 Their legacy lives on today through the infamous Black Cat Trail, later to become scene of some of the bloodiest fighting of WW11. 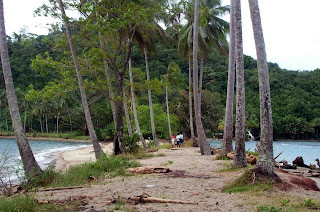 Gold-fevered foreigners from all around the globe were landing at Salamaua! 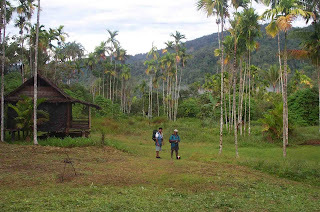 The goldfields lay eight days walk through thick leech-infested jungle and steep razorback ridges. There was a real threat of being attacked by hostile warriors. And when they got to the fields, they were faced with the prospect of dysentery, a variety of ‘jungle’ diseases, and pneumonia brought on by the extremes of temperature between day and night. Blackwater fever, a potent tropical disease akin to malaria, claimed the lives of unaccustomed European gold miners by the score. Gold Dust and Ashes, the 1933 classic by Australian writer Ion Idriess, tells the fascinating yarn of the gold fields and of the trials and tribulations faced by the miners. 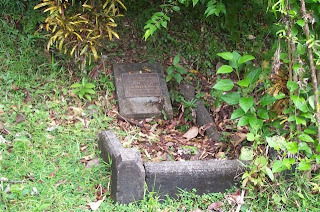 Idriess, in his book – which remains a bestseller to this day – also writes of many of the colorful characters that now lie on a hill overlooking the sea in the old Salamaua cemetery. It provides probably the best insight into the history of the development of the Morobe goldfields, and is a must- read for students of colonial history. 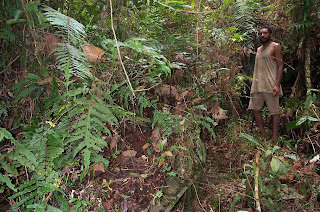 The thick jungle between Salamaua and Wau, Morobe Province, is littered with relics from World War 11. Students of history as well as WW11 enthusiasts would not be disappointed at what is there to be seen. 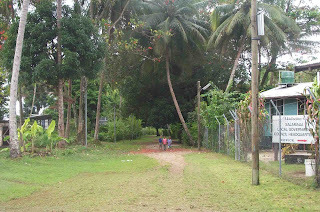 Live bombs from 1942 and 1943 are prolific along the old Black Cat Trail between Salamaua and Wau. 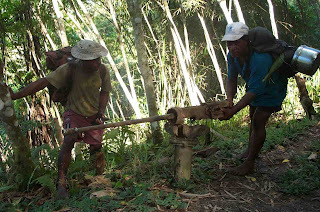 Villagers told me of huge unexploded bombs in the jungles and rivers that they avoid like the plague. 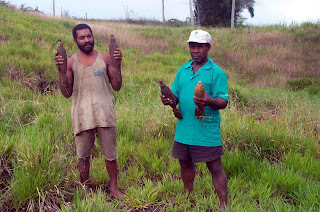 Australian and PNG bomb experts have yet to defuse these bombs. In 1997, during the El Nino, bushfires sparked off by dry bushes detonated WW11 bombs as terrified villagers fled. 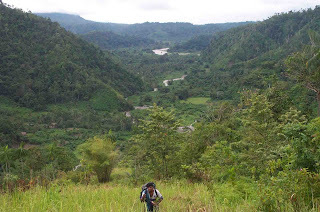 Huge bomb craters from WW11 testify to the ferocity of the battles along the trail between Salamaua and Wau. At Skin Diwai – a major Australian base during WW11 - locals showed me unexploded bombs, live ammunition, Australian army boots, as well as the bush covered wreck of a DC3 supply plane. All along the Black Cat Trail, you can see the helmets of Australian, US, and Japanese forces that fought here in WW11. 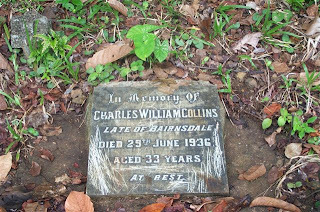 Those dark days of WW11 are well and truly over but their legacy lives on in the jungles between Salamaua and Wau. 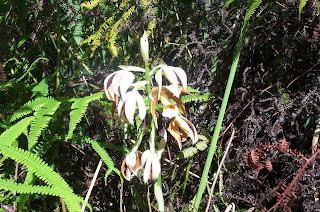 The jungle also conceals many secrets of the gold mining days of the 1920s and 1930s. 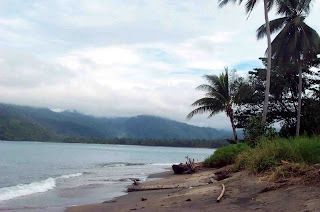 Local lore has it that somewhere between Wau and Salamaua lays the wreck of a gold-laden plane. 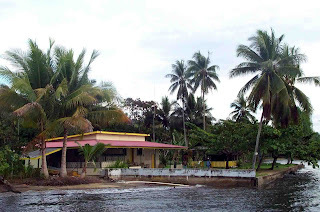 Whether true or not, the fact is that locals avoid the thick jungle, saying that it is masalai (spirit) place where dark forces await unwary human beings. Some time last year, a friend of mine asked me to be a tour guide for a retired American WW11 veteran, who is also a bit of a history buff. 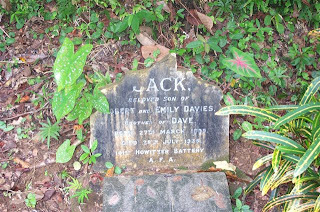 The old American wanted to be shown all the prominent WW11 sites around Port Moresby, war relics, Bomana war cemetery, as well as the start of the Kokoda Trail at Owers’ Corner. To prepare for the job, I had to be well-versed in the WW11 history of Port Moresby, so I brought down all my old books down from the shelves, made notes, as well as searched the Internet. 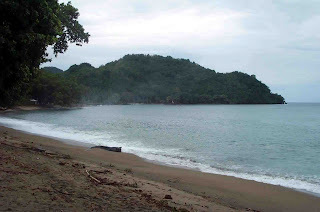 The big day came, and I showed the US veteran such places as Burns Peak, Paga Hill and the wreck of the Macdhui near Tatana Island before we hit the highway bound for Bomana war cemetery and Owers’ Corner. We made a brief stop at what used to be the site of Schwimmer Drome at Laloki, on the banks of the great river of the same name, where we inspected all the WW11 relics at an impromptu war museum run by Gulf man Thomas Richard Auhava. By 1944, Port Moresby had six airfields, one of which was Schwimmer. Jackson was the largest of these, and was named after Australian ace pilot John Jackson, leader of RAAF Squadron 75, who was killed in a dogfight against Japanese planes over Port Moresby on April 28, 1942. The wartime airfields were Kila Drome (3-Mile) airfield for fighters and bombers; Ward Drome (5-Mile) airfield for heavy bombers and transport planes; Jackson (7-Mile) main airfield still in use today; Berry Drome (12-Mile) fighter and medium bomber base near Bomana; Schwimmer (14-Mile) fighter and medium bomber base; Durand (17-Mile) fighter and medium bomber base; Rogers (Rarona, 30-Mile) fighter and medium bomber and Fishermen’s (Daugo) emergency landing strip on offshore island. Schwimmer Drome, according to various airmen who served from it, was the “eye and mind” of the 1942-1945 Pacific War, because it was from here that aerial surveillance missions of Japanese positions were made. The US airmen forming the 8th Photo Squadron commanded by First Lieutenant Karl Polifika, a Russian, first landed at Schwimmer on May 2, 1942, and flew from Schwimmer until July 27, 1944, when the squadron moved to Durand Strip. 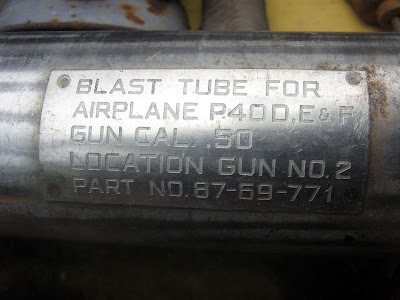 There are also other squadrons from the US Air Force like 435th Bomb Squadron, 3rd Attack Group assigned to do fragmentation bombing, 43rd Bomb Group assigned to do long-range bombing missions, 39th Fighter Group and 9th Fighter Group. Mr Auhava has, over the years, been collecting the numerous war relics in and around the site of the old Schwimmer Drome in a labour-of-love. He is fighting a lonely battle against scrap metal hunters and dealers, who without any scruples, do anything to get an extra buck. He has brought a proposal to the National Museum and Art Gallery in Waigani, Port Moresby, for funding to set up a proper museum. 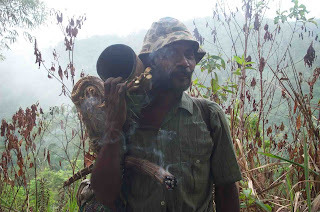 Mr Auhava has been living at Laloki for the last 20 years and knows every nook and cranny in the area. “Over the years,” says the former PNG Defence Force soldier, “I’ve been collecting these war relics and I’ve been featured in newspapers. “Because of this media publicity, tourists started visiting, and I’ve decided to start a proper museum. 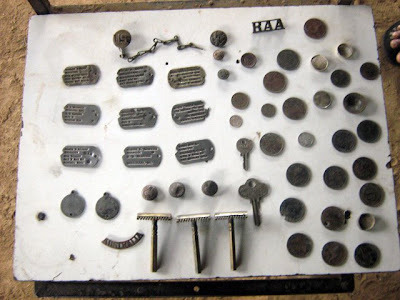 The war relics include human bones, helmets, dog tags, tools, hand grenades (defused), bombshells, bullets, coins, jerry cans, 1940’s Coca-Cola bottles and assorted paraphernalia. 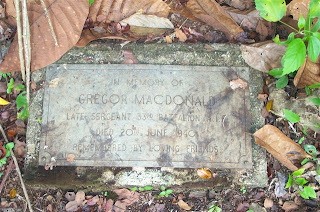 One of the prized possessions of the collection is the remains of the plane of Australian air ace, John Jackson, after whom Port Moresby’s famous Jackson’s International Airport is named. 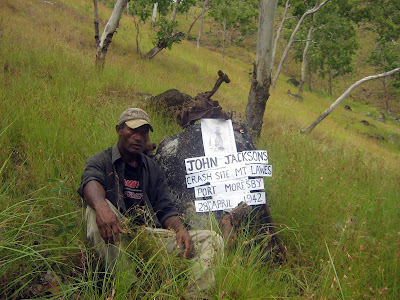 Jackson crashed on the hills overlooking Laloki after a heroic dogfight against Japanese fighters. Mr Auhava, originally from Iokea village in Gulf province, is a self-taught historian and is a walking encyclopaedia as I found out. “History is very important,” he extols. “This generation, unfortunately, doesn’t seem to know anything about the war. “Historical sites like Schwimmers should be preserved for educational purposes, tourism, etc. 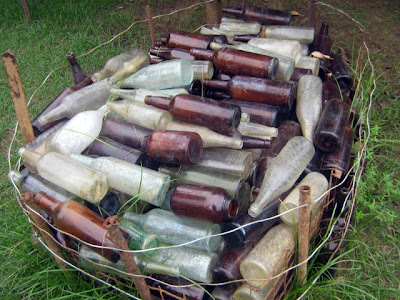 “These relics should be preserved and protected. 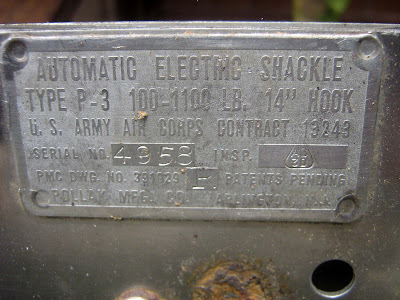 “Scrap metal vendors are getting their hands on these war relics. 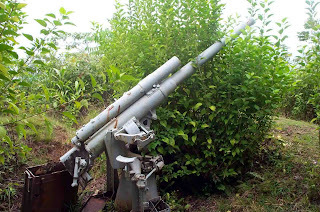 “If we lose these war relics, we lose history. “People are just taking them out and selling them to scrap metal dealers. “I decided to bring them all to one place and take care of them. “After that, I began to find out about the place itself, its history. “I borrowed some WW11 books from a historian and did research. According to Mr Auhava’s proposal to the National Museum, a museum built under the name ‘Schwimmer War Museum’, would be a fitting tribute to the thousands of Americans and Australians based in Port Moresby during WW11. It would focus on history, war surplus material protection, a site for educational excursions and a shrine for the future generations. 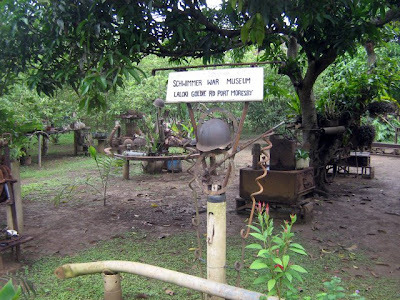 “I’m submitting a proposal to the National Museum to see if they can gurantee a budget for the (Schwimmer) museum, because these relics are State property which I’ve been protecting,” Mr Auhava said. “The government talks so much about war surplus materials, and yet, they are not putting their money where their mouth is.